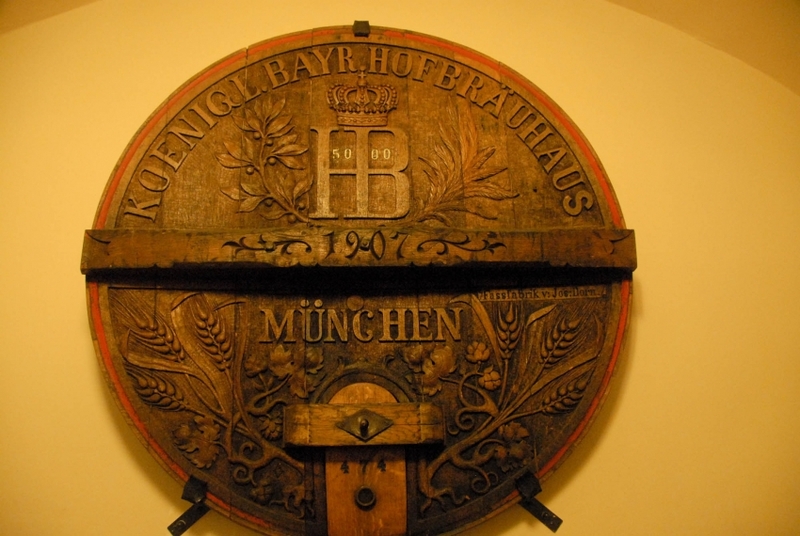 "Munich's Best Known Beer Hall"
This most famous pub draws people from all over the globe, even at nine in the morning! 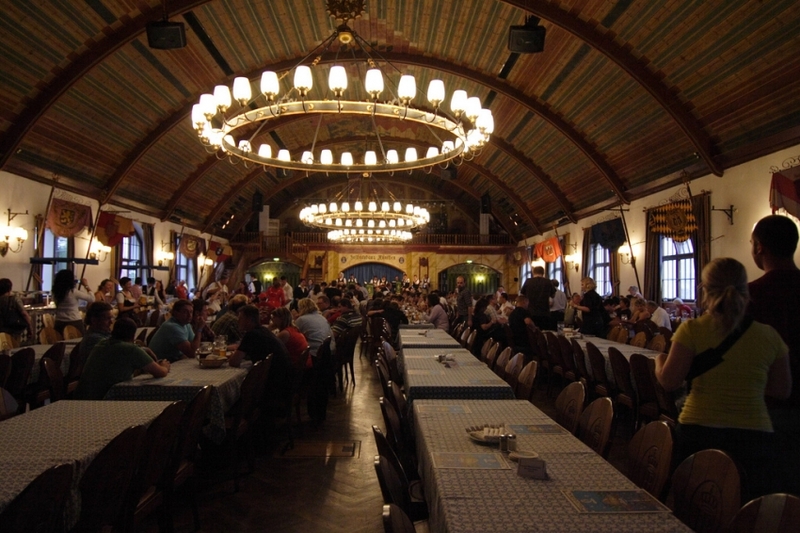 Its unique charm comes from the Bavarian music and the handful of regulars who gather at the bar. Beer and schmankerl (roast pork with trimmings) complete the setup. 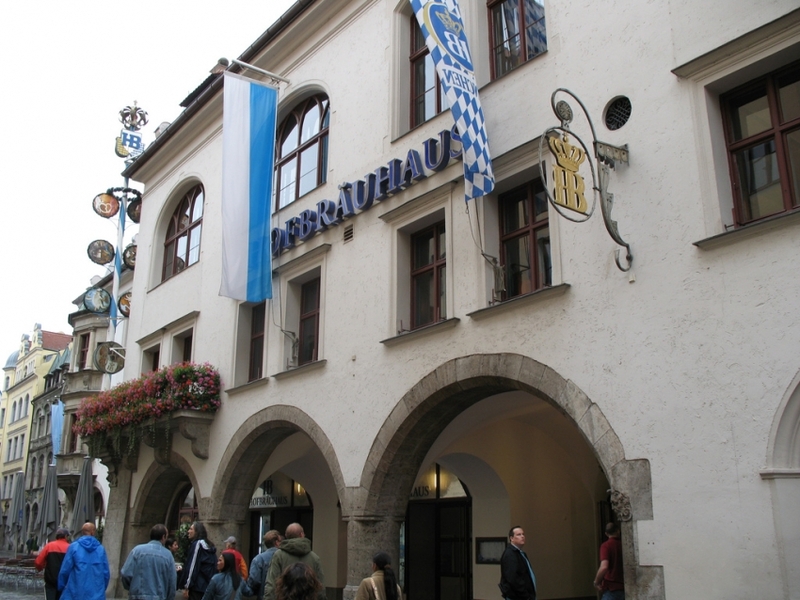 In the summertime, locals head towards its wonderful courtyard, while the Festsaal room hosts a Bavarian evening with music every night, which costs a few Euros for admission. Main meals and a tankard of beer are perfect for a group of friends. 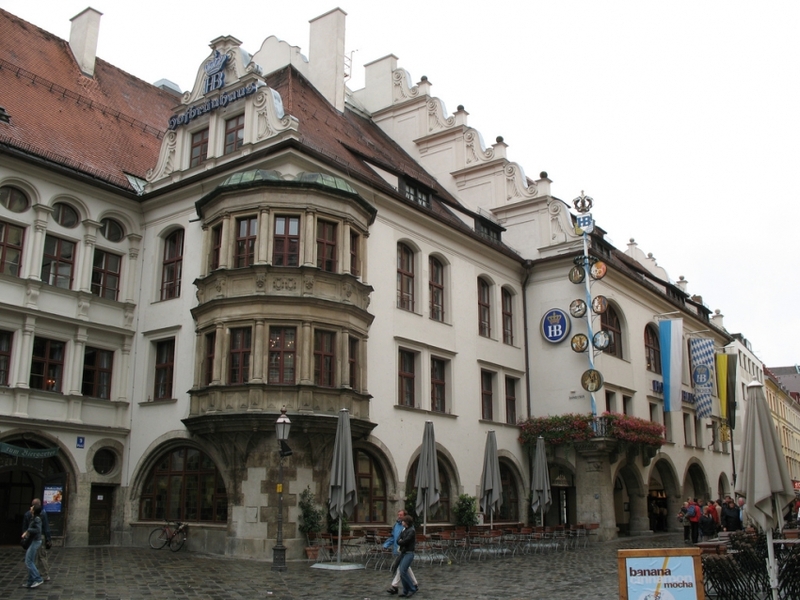 Established in the 16th Century, this has become a local landmark. 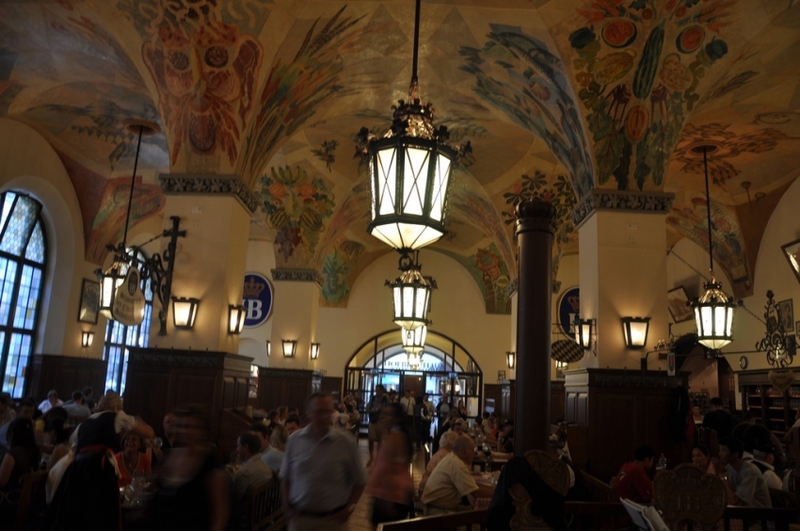 Your trip to Munich will be incomplete without a visit to Hofbräuhaus.